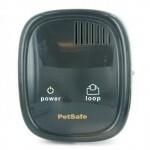 For almost 25 years PetSafe has devoted their time and effort to producing top notch pet products. When you combine that with cutting edge technology and superior customer service it’s easy to see why this company is at the top of a very competitive pet product industry. And the Elite Little Dog in-ground fence is no exception. What’s unique about this fence is that it’s the only underground dog fence on the market that’s been designed specifically for all those lovable itty bitty furry friends. What does the Elite Little Dog offer? Along with that you get PetSafe’s limited lifetime warranty which means that within the first year any part you need to replace will be free. After the first year they give you replacement parts at a deep discount — anywhere from 30%-50% off the full retail price and the shipping is free. With the exception of tools, everything you need to get this PetSafe underground fence up and running is included in the fence kit. Is the receiver unit small enough to be comfortable? Is the weight of the collar appropriate? With the PIG00-10773 the answer to both those questions is an unequivocal YES! Not only does the Elite Little Dog have the smallest and most lightweight collars on the market, but PetSafe has put that collar into a fence that gives you everything you need to feel good about using it on your dog. 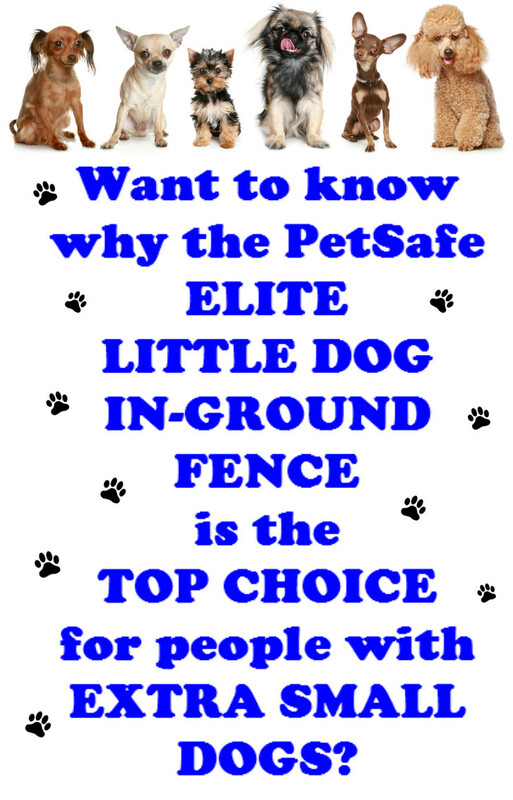 There’s no doubt about it: If you’re in the market for a solid underground pet fence that will keep your tiny dog safely contained, the Elite Little Dog is definitely the one for you! Without a doubt the overwhelming majority of people using this in-ground system simply can’t say enough good about it. What struck me most were all the comments made about how relieved people were to have finally found an electric dog fence that had a receiver collar small enough to be comfortable for their pint-sized furry friends while at the same time being safe and effective. Overall there just weren’t many complaints about the 10773. 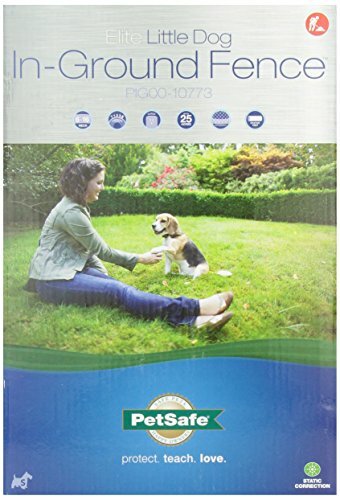 So is the PetSafe Elite Little Dog fence worth the price? The only other fence on the market that’s safe and effective for dogs as small as 5 lbs is the PetSafe Stay and Play Wireless Fence. In addition to costing over $100 more, the Stay and Play’s maximum coverage area is only 1.5 acres and wireless fences in general restrict you in ways that in-ground fences don’t. With the Elite Little Dog you get a trustworthy system that’s jam packed with all the essential features and specifically designed for all our lovable tiny dogs. 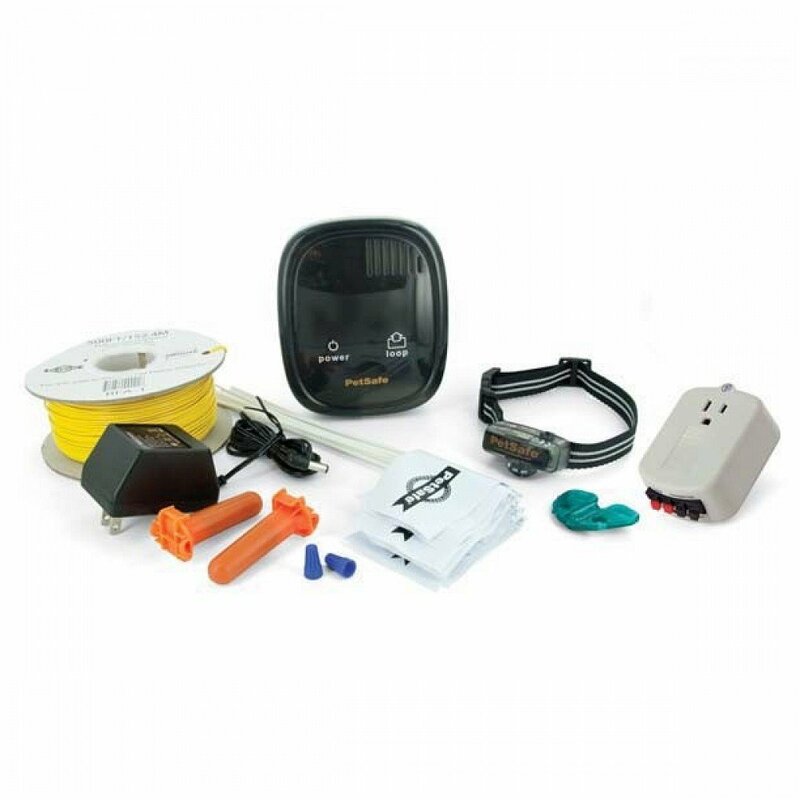 Top that off with attention to safety and a reliable transmitter that can cover up to 25 acres you simply won’t find a better in-ground dog fence in the $200 price range. Installing this fence isn’t easy. You’re going to have to roll up your sleeves and break a sweat but that’s going to be the case with any in-ground pet fence. 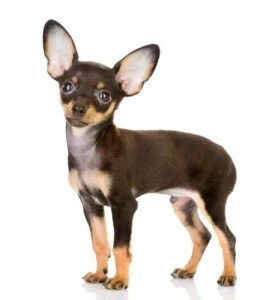 In comparison to similar models the Elite Little Dog is no more or less difficult. While details of the installation process are beyond the scope of this article, in this section I want to cover the basics about one of the major components of the 10773: the transmitter. Indicator lights are an important feature to look for in an electric dog fence because they allow you to be sure that everything is working before you open the door and let your dog out. The features on this fence will let you do that by simply peeking at the transmitter. Boundary Control Switch: This is set according to how much dog fence wire you’re using and there’s a handy little reference chart in the manual to help you choose the right setting. Boundary Width Control: This controls how close to the boundary wire your four legged friend can get before reciving a correction. With the 10773 you can adjust this distance anywhere from 1-12 feet. In addition to the visual alarm, an audible alarm will also sound to let you know there’s a break in your wire. As I’ve already mentioned, weighing in at only 2.5 oz the PIG00-10778 is the lightest and smallest receiver collar on the market. Fitting neck sizes of 6″- 16″, the receiver unit measures 2.25″ long X 1.0″ high X 1.0″ wide. Made out of nylon cloth with a quick release buckle the strap also has a reflective stripe that runs the length of it. 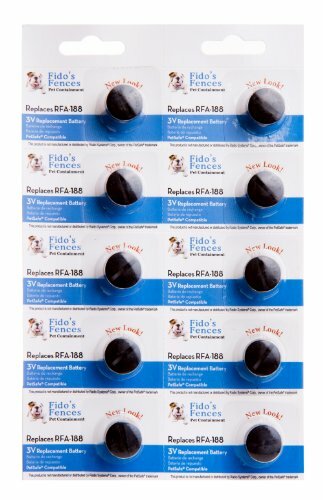 A lot of reviews say that this can be particularly helpful if your dog has a dark coat or likes to play outside at night. 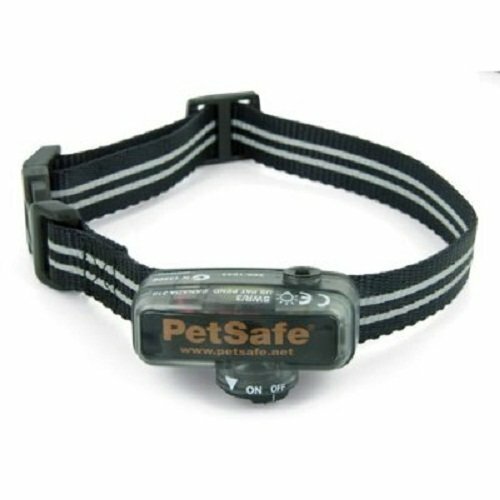 The collar requires one disposable proprietary battery and this is the one area where the PetSafe PIG00-10773 Elite Little Dog In-Ground Fence falls a bit short. Proprietary batteries cost more and because the RFA-188 batteries are disposable, replacing them will add to the maintenance cost of your fence. Having said that, there is a cost effective compatible generic brand that many people use and you can find those details in the accessory section of this review. The 10778 has a low battery warning light that will flash red to let you know the battery needs replacing. People who wrote a review on the Elite Little Dog said that the battery lasts anywhere from 2-4 months. And a nice feature is that you can turn the collar off when it’s not in use to help prolong the battery life. Although the manufacturer claims the receiver collar is waterproof, I’d say it’s more water resistant because although it’s OK to get it wet, submerging it for any length of time will probably cause damage. Most reviews say that the strap’s nylon material is quite durable but if it does wear out you won’t have to buy an entirely new collar because you can simply transfer the receiver unit onto any non metallic collar of your choosing. The stainless steel contact points are what delivers a static correction when necessary and out of the box the collar comes with 1/2″ long probes. Longer 3/4″ probes can be purchased separately but most people say that the shorter probes work well even on longer haired dogs. 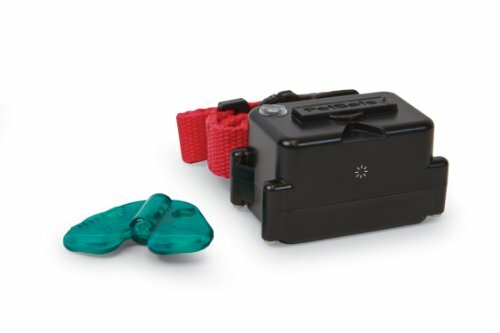 In addition to the beep only mode the PIG00-10778 receiver collar has 4 adjustable levels of static correction and there’s a button on the collar that allows you to set your pet’s correction level. Your fence kit comes with 500 ft of wire – enough to cover about 1/3 of an acre. 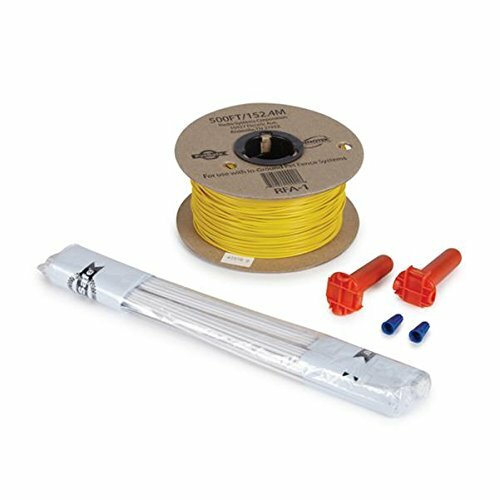 The PetSafe wire and flag kit will extend your containment area to almost an acre. Tip: To reduce the chance of wire breaks a lot of people upgrade to a heavier 14g or 16g wire at the time of purchase. If that interest you check out the details for a dog fence wire upgrade here. The chart below tells you approximately how much total wire you’ll need but keep in mind that the amount will vary depending on how your layout. 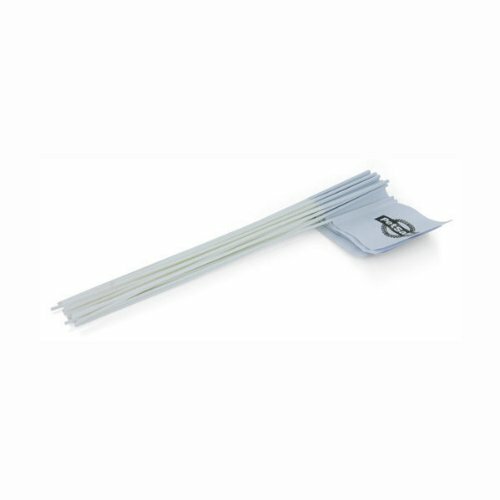 These are excellent for either attaching your wire to an existing above ground fence or securing it to the ground. 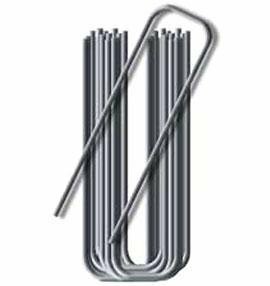 Staples can be purchased at most local hardware or home improvement stores or you can buy them online when you purchase your underground dog fence. 50 flags will be enough to cover about 3/4 of an acre when you’re training your dog. If you have a larger area to cover you’ll need more boundary flags. These come in a bundle of 50 flags. If you’re the proud owner of more than one little furry friend you’ll need to purchase additional PIG00-10778 receiver collars. The majority of reviews indicate that this collar is used on dogs in the 5-50 lb range. The PetSafe PRF-275 collar is the largest and strongest collar on the market and it’s meant for stubborn dogs that won’t respond to regular strength static corrections (eg Mastiffs and Pit Bulls). This collar has 4 adjustable levels of higher intensity static correction plus a beep and vibrate only mode and most people recommend it for dogs weighing between 50-200 lbs. According to the reviews, people were replacing this proprietary battery every 2-3 months so it’s a good idea to stock up on them when you purchase your fence kit. If you buy them individually, depending on where you buy them, they’ll run you about $10-$12 each. Buying them in this economy pack of 4 will save you about $10. PetSafe Battery Replacement Plan: Although this option is more expensive, if the idea of auto shipping appeals to you PetSafe has a Battery Replacement Plan that gives you a discounted price and regular shipping in return for a ‘yearly subscription’. This handy pack contains all the replacement parts for your receiver collar. Includes both sizes of prongs and washers. It might not happen often but when it does, finding a break in your boundary wire can be a real hassle. The RFA-450 is designed to help you locate a break more easily and most people said it worked well and was a huge time saver. There’s no way around it…teaching your furry friend the new boundaries and training them to respect those boundaries is the most important aspect of owning an electric dog fence. And without a doubt, the majority of people who took the time to train their dog properly ended up completely satisfied with this underground pet containment system. 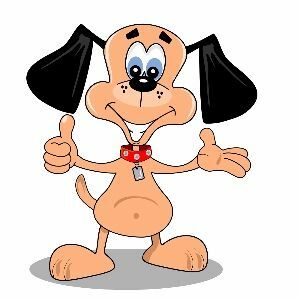 For that reason I’ve written an entire article explaining how to train your dog to an electric dog fence and you can check it out if you want more details.